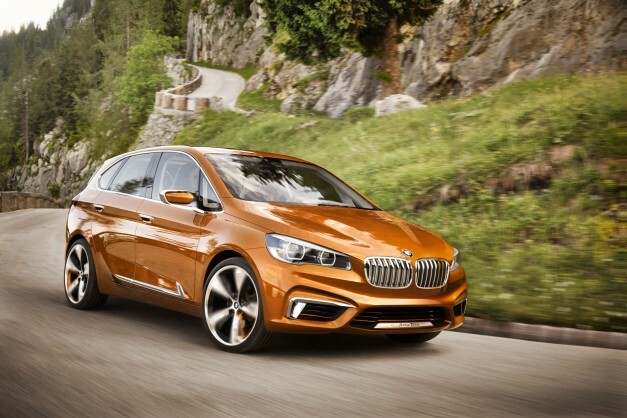 BMW has revealed the Concept Active Tourer Outdoor which will be showcased in Friedrichshafen fair in Germany. The Concept Active Tourer will have same size and powertrian as previous years Concept Active Tourer which was showcased at Paris Motor Show. The vehicle is 4350mm long, 1833mm wide and 1576mm tall, with a wheelbase spanning at 2670mm. It’s a plug-in hybrid making use of a 1.5-liter transversely-mounted gasoline engine driving the front wheels. It works together with an in-house electric motor and a lithium-ion high-performance battery which enables the vehicle to have an average fuel consumption of only 2.5 liters / 100 km (94 mpg US or 113 mpg UK) and CO2 emissions of less than 60 g/km. The vehicle has a total power output of 190 HP (140 kW). 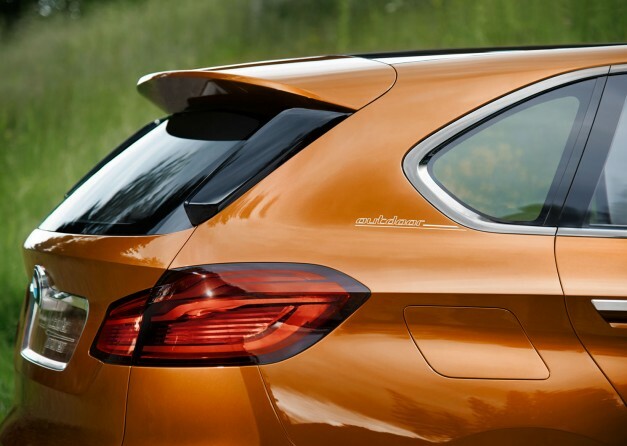 Wearing a bespoke Gold Race Orange exterior paint scheme and riding on 20-inch alloys, the concept comes with a built-in two-bicycle carrier storing the bicycles within the car. This carrier system can be stored into the side structure of the car or the load compartment floor so that it won’t affect interior space when not in use. While last year’s concept had a 10.25-inch digital display, the new one boasts an 8-inch screen for the BMW ConnectedDrive services, navigation system and also for showing hybrid system status. BMW joined forces with the tourist board of the Austrian Tyrol of the “Heart of the Alps” route guide to provide the driver with information concerning various outdoor activities like hiking, climbing and mountain biking.